After two race weekends with meagre points pickings, our Finn is eager to get his championship challenge back on track at Silverstone. Q: Your championship potential has taken something of a hit in the last two races; is this a big concern? KR: Obviously, it’s not been that great and we haven’t got the results we wanted. The last couple of races have been more a question of surviving not attacking and that’s not what anyone wants. That said, Monaco and Montréal are both street circuits; they’re quite different from a lot of tracks we visit and there are quite a lot of variables. You never know how you’re going to go at those two tracks but we do now and at least we got a few points. Q: Does returning to a permanent race circuit bring any positivity? KR: Silverstone is a more normal circuit and we’ve been okay at every other permanent circuit so far this year. There’s no reason why we shouldn’t be back to the positions we should be with this package. We just have to be patient, do our very best over the entire weekend and step by step we can start catching the leaders. Q: How challenging is Silverstone as a race track? KR: Silverstone is all about long sweeping high-speed corners and high downforce levels. It’s one of the fastest circuits on the calendar; it’s very challenging and the flowing corners are pretty good fun to drive. Hopefully our new parts will help us; particularly in the faster corners. If that’s the case, it could be a good weekend. Q: Have you always liked Silverstone? KR: Yes, it’s always such a good feeling going to Silverstone. It’s a great place to race and it has been a good circuit for me since the very beginning of my career. I have a long history there. It was the real base for the start of my international racing career in Formula Renault in 1999 and 2000. Since then I’ve always enjoyed racing at Silverstone. I don’t know why; there must be this nostalgic feeling that I have every time we go there. Q: You won at Silverstone in 2007 and have been on the podium five times altogether; how does it feel when everything goes right there? KR: When you win in Silverstone, it gives such a good feeling. You have to get everything exactly right. I won there in Formula Renault and then in Formula 1 with Ferrari in 2007. It would be fantastic to win again there, especially with the factory just down the road. I’m sure we would have some fantastic celebrations. Q: What about the British summer? KR: It’s always windy at Silverstone. Often it rains too, like we saw last year in qualifying. The track conditions change very quickly, which makes the car more tricky to set-up. Obviously when you are running at the front it’s best to have stable conditions, but I don’t mind really. The weather is just a part of the fun of racing in England. I’ll enjoy the weekend whatever the weather will be. Q: How’s the feeling from the team? KR: The team has worked 100% to have a really competitive car for the home race. Silverstone is the closest circuit to the factory so hopefully we can celebrate a good result with all of the factory personnel and their families who bring their support every year. Q: How do you rate the performance of both drivers in Canada? EB: Kimi did a great job when you consider that he was suffering from a brake issue, and he continued his run of points finishes. It’s frustrating for him and it’s frustrating for us that he’s finished without a strong points haul in a second consecutive race, but we have everything in place for Silverstone to reverse that trend. 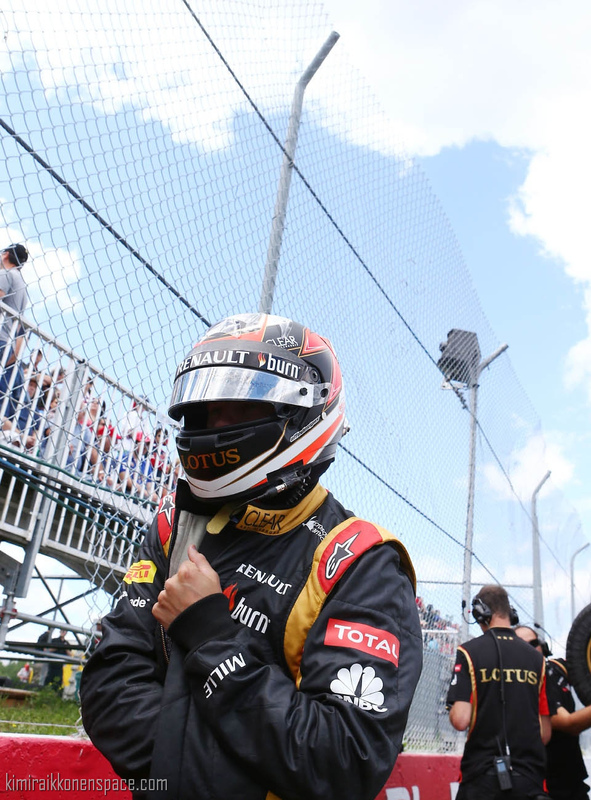 Q: What do you make of Kimi’s unbroken run of finishes and points scoring? EB: Kimi’s a points scoring machine and it will be nice if he sets a new record, even if he says he’s not bothered by that sort of thing. Since his comeback with us he has been the most reliable driver on the grid for scoring points, and it’s interesting to reflect back to the doubt some people had about his return to Formula 1. He’s had some bad luck in the last two races, but I’m sure the drivers he’s competing with will also have some bad luck too. “We have a tighter, figure-hugging bodywork package which should give some benefit; especially if the weather is quite cool at Silverstone. “There’s a new front wing, suspension profiles and suspension upgrades in addition to various other aero upgrades, which combine to give us what should be our biggest step forward of the year. This is a good thing, of course, but we’ll be running them in the context of all our rivals probably unveiling significant upgrade packs too. Raikkonen, who’s seen his deficit to championship leader Sebastian Vettel grow from four to 44 points over the past two races, is also hopeful of getting back on the front foot at Silverstone: “The last couple of races have been more a question of surviving not attacking and that’s not what anyone wants. “That said, Monaco and Montreal are both street circuits; they’re quite different from a lot of tracks we visit and there are quite a lot of variables. You never know how you’re going to go at those two tracks but we do now and at least we got a few points. Saima, next week Wednesday you simply have to get a picture of Kimi with you. In fact, get a few, and post them up here! Okay? I would love to see them, as would everyone else! R u attending the GP this year Saima? I hope u manage to meet Iceman ,u deserve it. The 2007 win in Silverstone was one of Kimi’s best performance, i used to watch it, i got it recorded. Simply impressive the way Kimi is able to drive to the limit at the end of his 2 stints. As for the race i think we can expect a much higher tyre degradation than we’ve seen during the last 2 races as the long sweeping high-speed corners are quite demanding on the rear tyres. Hopefully its hot n sunny all the weekend, i really think we can expect a solid performance. Watching Royal Ascot right now n the weather has been sunny since Tuesday, hope its the same nxt year. Kimi having nostalgic feeling, quite weird from him,lol. Can’t believe u’ll meet Kimi tomorrow Saima, i’m sooo jealous lol. Guess u must be sooo impatient n thrilled, i would not be able to sleep properly if i was in ur place, hope everything goes perfctly for u tomorrow,it will i’m sure. It will be great if u show him the fansite u created. Don’t forget to wish him a good luck for us lol. Tell him we want another WC title, he can’t retire on a single title. Saima, offer him a nice pack of beer n an ice cream lol. Maybe for the ice cream it is quite feasible. 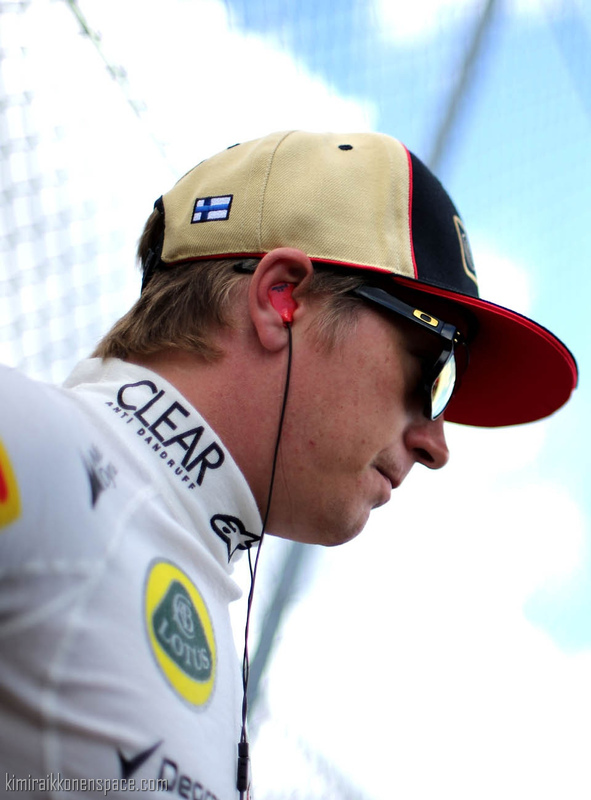 Previous 2014: What will Kimi do next?